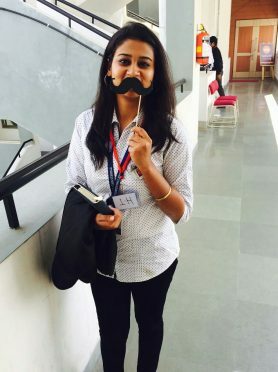 About the Author: Tanya Singh, a student of Institute of Management, Christ University, shares how internships helped her identify the field where her true interests lay. She also shares snippets of her internship experience at Tata Global Beverages. During my graduation, I was quite perplexed about my career choices, and it seemed like a mammoth task to determine which field I wanted to pursue a career in. All I was certain about was stepping into the corporate world, so I started applying to internships through Internshala. My first internship was at Upcoming Trendz where I worked as an HR intern for 8 weeks. I was entrusted with the responsibility of hiring interns across various profiles such as content writing, marketing, and human resources. After this, I did an internship at Ludifu.com where I had to hire a team of 10-15 interns and train them for promoting Ludifu’s product to meet the set sales target. These internships piqued my interest in the field of HR, and I went on to pursue an MBA in human resources. As the first year of MBA was coming to an end, the hunt for summer internships began, and the college placement cell invited more than 50 companies to hire interns from over 1000 students. The selection process started off with an aptitude test after which the shortlisted students had to select the companies they wanted to interview for. I had always wanted to work with the TATA Group, so I decided to appear for Titan Company Ltd. and Tata Global Beverages Ltd. The D-day arrived and I submitted my resume for the two companies that I was interested in and got shortlisted for both. The day began with my group discussion round for Titan on the topic ‘Was demonetization a politicized move or was it intended for benefitting public?’. Next up was the group discussion round for Tata Global Beverages (TGB) wherein we were to present our views on ‘What is an ideal company – the one which provides better compensations or the one with a better work culture?’ Soon enough, I received the good news – I was shortlisted for personal interviews by both the organisations; however, I was asked to appear for the interviews at the same time. Fighting the dilemma in my mind, I decided to go for the interview for TGB. The chief HR, Nikhil Mathur, and the HR manager, Pratik Chakraborty, were conducting the interviews. There were total 3 rounds of interviews. In the first round, they asked me a few questions about my academic and family background and my previous internship experiences. In the next interview, they asked me which project interested me – employer branding or employee engagement. I replied that I wanted to work on the latter, so they asked me a few questions related to it, some of which were – ‘What do you understand by employee engagement?’, ‘How does it add to the productivity of an organisation?’, and ‘What measures would you take for employee engagement if you’re selected?‘. In the last round, they merely enquired about my availability and interest in a particular project and extended the offer. They discussed their expectations and intimated me about their work culture. I moved out of the room filled with immense pleasure. My internship at Tata Global Beverages started two months later. During the internship, I worked on benchmarking the employee engagement practices across the FMCG industry. I conducted surveys in various companies like Unilever, ITC, Dabur, Parle Agro, etc. and within TGB for identifying the key engagement levers, which turned out to be work culture, recognition, compensations, learning and development, and career planning. Then, I analyzed the key engagement drivers in terms of relevance and feasibility. I also designed a roadmap for implementing my suggestions related to creating an employee engagement model for the company. I got to observe how the HR department functions in MNCs and learnt about the expectations other departments have from the HR team. Throughout the internship, I interacted with a lot of people with different expertise, tasted a variety of teas in the office cafeteria, and played carrom with the other interns. In a nutshell, my summer internship with Tata Global Beverages was nothing short of a delight, and I’ll cherish this experience for years to come. Are you also looking for an internship to explore your career options? Apply to these HR internships on Internshala and set out on a journey to make better workplaces. CONGRATULATIONS Tanya singh. IAM feeling lucky being a part of INTERNSHALA as a INTERN. The post was amazingly helpful for me , manager. I will in all probability offer this post. great wishes! Bing is trusted and world using application,so friends just one a single click here this site and get the basic information for bing bing rewards bot i am also used this app,so share this information to all users. this post is very helpful for me thanks author for this post.